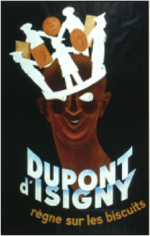 Created in 1889 by Mrs Dupont and Roussel, Dupont d’Isigny is one of the oldest French confectioners. 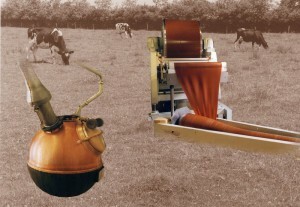 The activity of the company starts with the production and the trading of butter from Isigny. From 1894, on the site of La Cambe (14), it becomes a dairy company specialized in the milk, butter and cheese production. In 1932, the business is diversifying with cookies and the famous caramel production. In 1949, the company is focusing on its major business activity: confectionery – biscuits production with the expansion of its product lines (addition of hard drops candies, chewy candies and hard filled candies). During the 70’s, the brand became famous thanks to its commercial advertisement in every French cinemas. Bought in 1984 by Mr. Muhlbach, the company have been restructured (industrial investments and development of new high added value products) and then grew again thanks to the production of private label items. The company Jacquin (Parisian dragees’ factory) was bought in 1990. 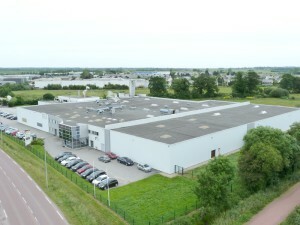 In 1995, the company moved from its historic site from La Cambe to Carentan (50), 20 km further west, in a brand new factory in order to be in line with the new quality standards of our century. In 2006, the company is bought by Michel Poirrier and incorporates the SUCRALLIANCE group, specialized in sugar confectionery for private label. The dragees activity is transferred to the Coppélia’s production site (Chambéry), dragees’ manufacturer N°1 in France. In 2008, after being certified “ISO” during a long time, Dupont d’Isigny’s production site is certified “IFS Food” for the first time. This certification applies to all ranges of products, except our caramel spread. 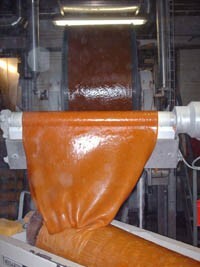 In 2010, Dupont d’Isigny, launches the production of caramel dedicated to the industrial market (Industrial Food Products). In 2012, Dupont d’Isigny received the French label EPV, State recognition distinguishing French companies with artisanal skills and with a kind of excellence in manufacturing. This label is only awarded to some unique companies, that have been able to couple tradition and innovation, know-how and creativity, work and passion, heritage and future, local and international.